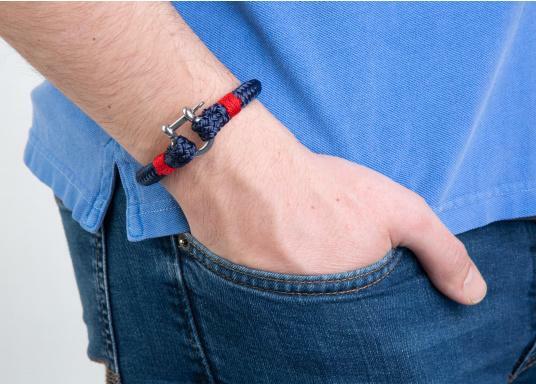 The "Sheet" wristband from Waterkant is made of sailing rope and is timelessly elegant, maritime jewellery. The single-coloured navy blue rope is decorated with red cord. 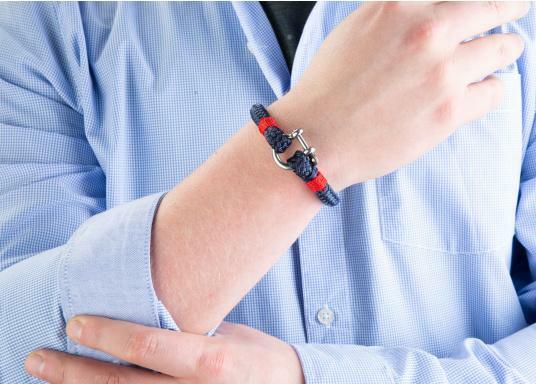 The wristbands are handmade and braided. Make a statement! 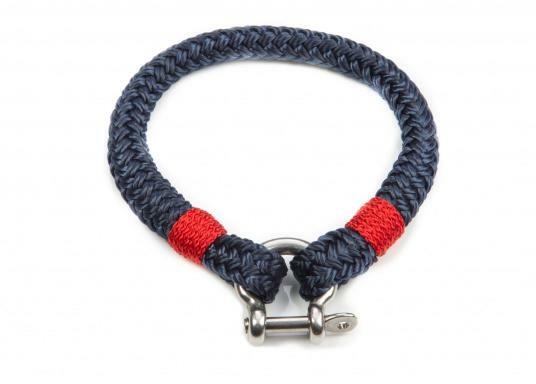 The "Sheet" wristband from Waterkant is made of sailing rope and is timelessly elegant, maritime jewellery. 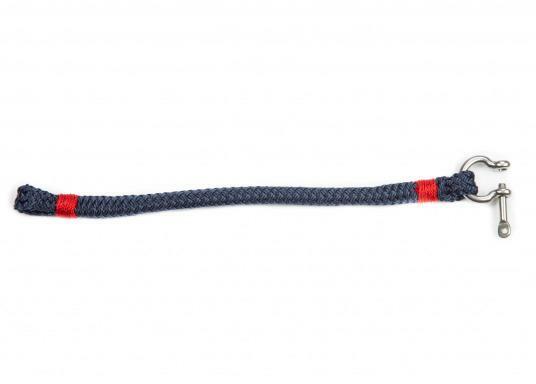 The single-coloured navy blue rope is decorated with red cord, giving it a very subtle colour tone. The braiding and rope itself give it a real maritime character.